Male pipe thread (MPT) or female pipe thread (FPT) x slip fitting unions. 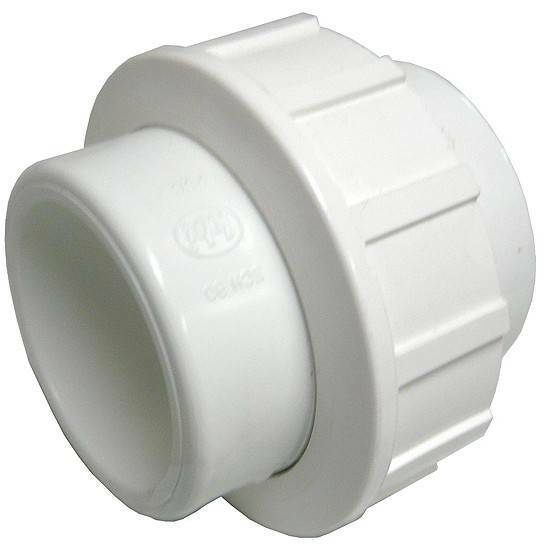 Slip-fitting end is for use with PVC Schedule 40 hose or rigid pipe only. Will not fit spiral (kink-free) or vinyl tubing. Has to be glued to PVC hose or pipe with PVC cement.